Sony and its action camera line are fast becoming a formidable creation, a formidable staple for the action camera community, and undoubtedly the Sony Action Cam Mini makes its space for this ever-growing field. It is small, high-powered, versatile and efficient in many ways, but is it the best action camera you can own? Today we are reviewing the Sony Action Cam Mini and reviewing it against other action camera developers to explore the variety of abilities available on the action camera market and see if we can help you come to a conclusion on which of these cameras is best for your action camera needs. What Is the Sony Action Cam Mini POV HD Video Camera? The Sony AZ1 Action Camera Mini POV HD (or the Sony Action Cam Mini for short) is a camera in a growing field of videography and photography known as an action camera. 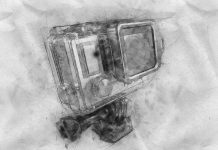 This term mostly serves to observe the affiliated cameras’ abilities to endure many trying situations and acquire footage under duress that would normally break other cameras on the market. 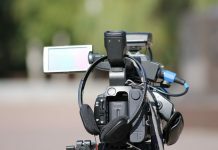 These cameras are light, portable and capable of acquiring high-definition footage and photos to be used for posts and editorial videos. The mini is an iteration developed by Sony in 2014 that capitalizes on all the strengths of previous iterations of Sony’s action camera designs but advances its product by downsizing to an even more portable and convenient size. The result is a quality camera that will go where you do and capture great footage all the while. You can’t get something for nothing, or in Sony’s case, decrease your size without compromising your product. These sacrifices are manageable, but may cause dissatisfaction with users of varying needs. With the Mini, inside its 24.2mm (0.95 inch) X 36mm (1.4 inches) X 76mm (3 inches), 2.2 ounces (63 grams) body is an 11.9 megapixel sensor capable of shooting footage at full HD or at 720 when shooting higher frame rates like 120 fps. You sacrifice microphone input, HDMI input, or headphone jack for the smaller size, and a bit of resolution processing power, but overall this camera is great for a certain kind of user. The mini and the full-size Sony action cam on our list are both at about the midpoint for costs, starting at around $165 to $200 online. It may take snooping to find them as many online stores are no longer featuring this model. At a glance, the low end of our list starts at just around $30 to $50 (The Crosstour) while the high mark exceeds $150 (The GoPro). As with any articles we put out, new information continuously alters opinions about this and other products, but as the Sony Action Cam mini is now 4 years old, this camera will not be inadequate or obsolete anytime soon. There are many action camera options beyond this action camera, and with that in mind, we have pulled together a list of action cameras that feature similar specs at fairly similar prices for you to best compare which of these cameras might suit your particular needs. 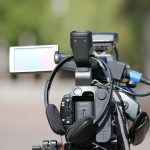 For size, the mini is virtually unmatched, but regarding video quality and functionality many other models, including some of Sony's own, focus more on quality and functionality over portability. Regarding more expensive brands like GoPro and less expensive options like Crosstour, This camera falls nearly in the middle regarding cost. The removal of convenient ports like HDMI, microphone, and headphone can be annoying, and the nonexistent LCD screen means you have to rely on a sometimes inconsistent Wi-Fi tethering with your phone or the remote for control and operating it. The smaller size is handy. The sacrifice in size means recording slow motion sacrifices true High Definition for the less thrilling 720p scale. Additionally, the Sony Action Cam Mini offers no outlet for 4k, unlike competitors like the GoPro 5. Another casualty of the smaller size, the battery life can often be brief compared to some Sony Action Cam Mini peers. As this camera is mostly out of production, you will have to find alternative sellers to purchase the Sony Action Cam Mini. You are at the mercy of their warranty standards and considerations. The bigger brother to the Sony Action Cam Mini, the Sony HDR-AS100V Action Cam is exactly that, bigger and a little more cultivated for video production. With more size, Sony was able to maintain useful inputs like HDMI, microphone and headphone jacks and support more quality video and photos with a 13.5MP Exmor R sensor. Overall, it is very similar to the Sony Action Cam mini but boasts double the frame rate for slow motion and offers a noticeably higher bit rate for more quality recording than its younger brother. The prices are nearly identical for the Sony Action Cam Mini and the Sony HDR-AS100V Action Cam, which both sell online for about $300 to $350. The added ports are better, but you trade this convenience for a larger, less portable design. Whether this camera design is better than the Sony Action Cam Mini is contingent on what your distinctive needs are. This added size also increased the pixel count and processing ability noticeably enough to earn the Sony HDR-AS100V Action Cam an additional star. More space means more room for a better battery, which allows for longer shoot times overall. Also like its little brother, this camera is mostly out of production which means you are at the mercy of sellers own warranty standards and considerations. Included HDMI, headphone and microphone ports. GoPro is the inescapable suggestion for all videographers interested an action camera. As the brand that largely started the action camera movement, GoPro is a difficult champion to unseat, and although Sony has put up a good fight, GoPro still has exceptional abilities that Sony has not quite caught up to. This includes voice control, LCD touchscreen for interface and video review, 4k resolution capability, high definition slow motion, waterproofing without a case and so much more. 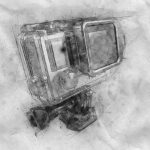 Where Sony is a great camera at an exceptional price, GoPro still holds on to many of the leading attributes which, for many, seem to secure this camera’s dominance in the action camera market. GoPro is the name most associated with a brand and without a doubt that notoriety comes at a premium to consumers. You can find the GoPro online for approximately $200 to $250. A fan favorite for a reason, the GoPro is a gorgeous camera that seems to get better with every new iteration. The waterproofing, the voice command, the touch screen, and the jaw-dropping video quality all enhance GoPro’s indomitable status. 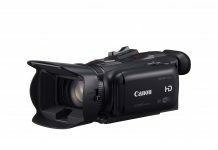 As the only camera that shoots 4k on this list, it might be able to lean on that ability alone to secure a 5-star rating. GoPro doesn’t stop there and provides stunning imagery through its exceptional 12-megapixel sensor that rivals even larger DSLR cameras. With so many automated features, the GoPro 5 tends to drain batteries if you are not careful. It is also not backward compatible, so you will need to buy their latest batteries to keep it together. For 2 years, you are covered for any factory errors caused by GoPro itself, but don’t expect any coverage if you break your camera using it in extreme scenarios. Meanwhile, Amazon.com offers protection plans for 2 and 4 years for $10 and $30, consecutively. 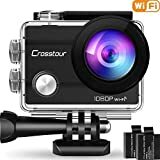 For a consumer-friendly camera you can take on adventures without burdensome costs or excessive features, the Crosstour Action Camera Underwater Cam is a userfriendly solution to documenting your experiences wherever you go. It is not as powerful or as versatile as its Sony or GoPro compatriots, but for underwater footage it gets the job done in a tiny and convenient package. As it is not one of the main competitors in the field, it may be difficult to find support gear for it. Also, support software is also notably lacking. This is where the Crosstour truly shines, starting at the low around $30 to $50 and inclusive of everything you need to shoot right out of the box. Affordability is the Crosstour’s strong suit, and as a result, you sacrifice functionality and glamor when going with this camera. Lacking the 4k versatility of the GoPro or the slow motion features of the Sony cameras, the Crosstour is a no-frills device dedicated to capturing and sharing your experience without issue. Thankfully Crosstour includes two batteries with your purchase so you can charge one while you use the other. Crosstour doesn’t seem to offer a warranty but you can purchase an accident protection plan on Amazon.com. With a camera this cheap, it may be easier just to purchase another one if you experience a problem. However, Amazon's accident protection plans range from $3-$4 for 3 and 4 years of coverage if you are interested. The Sony Action Cam Mini is a continuation of excellence for Sony’s action camera line. With a marked dedication to size and portability, Sony made a few sacrificial cuts to cater to a smaller and more convenient size in this model. That said, with an ever growing market for these cameras, many of them already managing efficient and consumer-friendly sizes, does size really matter in this case? We give the Sony Action Cam Mini three stars for its efforts, particularly for convincingly negotiating an unnoticed quality reduction for obvious size reduction. If you can afford it, we still highly recommend you go the GoPro route and treat yourself to the high end GoPro 5. 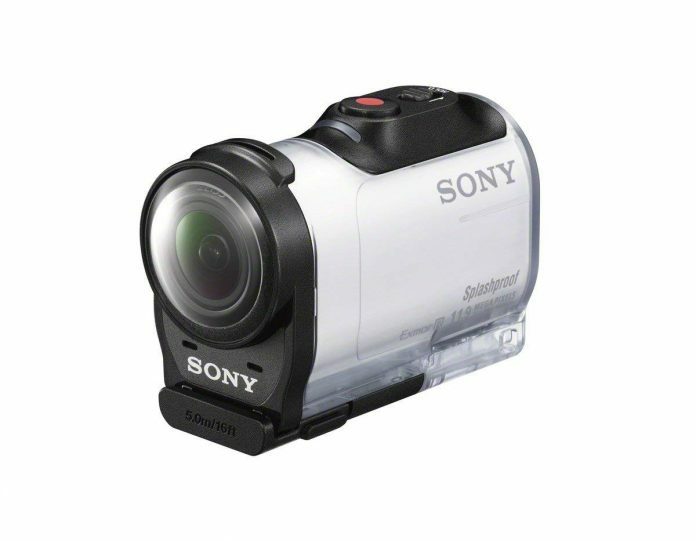 But if money is an inhibitor, we happily endorse purchasing the Sony Action Cam mini. If the $170 price tag is still too pricey and if video for quality editing purposes is not a primary concern, you will not go wrong with selecting the Crosstour. The Sony AZ1 action camera has a quality image stabilization and good video quality, However there's no headphone, HDMI, or microphone input.